Think you have an insurmountable obstacle? Try creating a path to Wall Street as an undocumented immigrant. 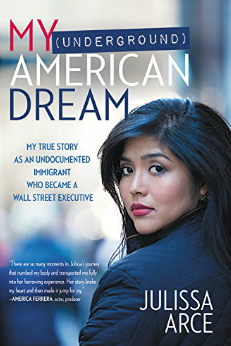 In "My (Underground) American Dream", Julissa Arce was able to transform hard work and an expired tourist visa into a powerful obstacle-crushing journey that took from Mexico to the one highest positions, Vice President at Goldman Sachs. Her book shares the ups and downs that accompany a dedicated woman who pursued and achieved the seemingly impossible. My (Underground) American Dream: My True Story As An Undocumented Immigrant Who Became A Wall Street Executive is about creating prosperity against insurmountable obstacles. Julissa Arce was an undocumented immigrant who ended up walking the halls of Wall Street as a VP at Goldman Sachs a few years later. Her story is a testament to the power and ingenuity unleashed by a dedicated woman pursuing the American Dream. What is My Underground American Dream About? Julissa Arce, the youngest daughter of two Mexican entrepreneurs who bootstrapped a successful venture on the trade show circuit in America, arrived in America on a tourist’s visa with knowledge of a few English words. Her mother, in particular, after working in America felt that America offered the best education for her daughter. Arce was successfully able to navigate through private schools after extra English tutoring sessions (her mother believed English for Speakers of Other Languages classes created a stigma.) The book also details other ups and downs of adolescence and family issues. Not only did Arce learn English, she earned excellent grades that would have been welcome at any college. The problem, however, was that expired visa and no way to get a green card. Without disclosing she was an undocumented illegal, Arce continued applying for colleges (leaving the Social Security number section of the application empty because she didn’t have one) with the hope that something would work out. Arce didn’t hear from any college that she applied to. A bill passed in Texas (House Bill 1403) that paved a way for undocumented immigrants who were residents to go to college. It took a lot of paperwork, but she put in the additional work. After processing, she got a call from the Governor’s Office letting her know that she could attend the University of Texas. That was only the beginning of the story because Arce encountered several more obstacles while pursuing her eventual path to Wall Street. These included relationships, trying to get a green card and losing her loved ones. Despite each of those obstacles, however, she found a way forward. The need to keep moving forward is the key message that Arce brings to readers. Despite any obstacle, no one can take away your ability to fight for your dreams. Arce has enjoyed successful stints as a Vice President at Goldman Sachs, a Director at Merrill Lynch and executive positions at many other companies. Currently, she works as an immigration rights advocate, speaker and chairman of Ascend Educational Fund, a scholarship program for immigrant students. What Was Best About My Underground American Dream? My (Underground) American Dream is inspirational, impactful and delivers a perspective from a voice that is typically not associated with Wall Street. Arce writes from the perspective of a Millennial, a driven woman in a male-dominated industry (Wall Street) and as a second-generation Mexican undocumented immigrant. This perspective is very unique, but a much-needed voice in an industry where more diversity is needed. The bulk of My (Underground) American Dream covers Arce’s story leading to Wall Street including her initial years in Mexico, her education in American high schools and college. After that, the book picks up the pace as Arce describes how she survived the tough environment at Goldman Sachs. One area the book might have explored further was the personal career and life lessons she gained while on Wall Street. 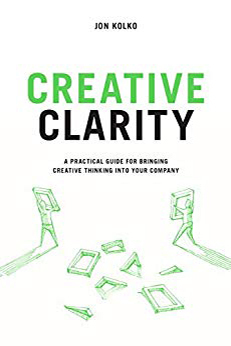 Of particular interest to readers might have been any advice Arce could give to other aspiring entrepreneurs who want to stand out in a competitive job market? Arce provides some examples, but more direct advice might be helpful. Why Read My Underground American Dream? My (Underground) American Dream offers an inspirational and engaging story for any job seeker, entrepreneur or employee who feels that an obstacle (such as a degree, experience level, etc.) ultimately defines one’s fate. Arce’s book demonstrates with her own story that obstacles are not set in stone. They can be overcome by our ability to tap into three things: dreams, hard work and a network of support. Arce’s early exposure to entrepreneurship due to her family history (mother, grandmother, and father were all entrepreneurs) and her own experience (selling food, selling jewelry with her family, etc.) created dreams and the persistent belief that there was more to life. By tapping into those dreams and doing the best she could in every part of her life, Arce was able to leverage a power greater than the obstacles she faced. That same power can be tapped into by readers eager to overcome their own obstacles and realize their dreams.